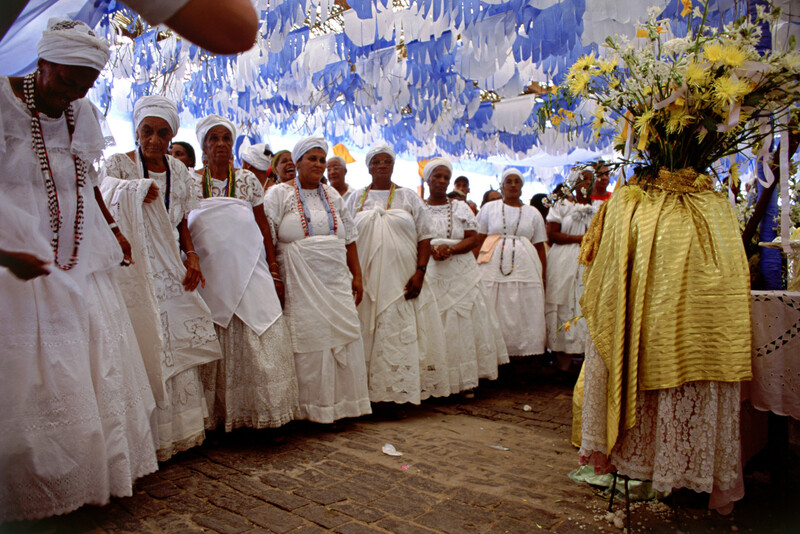 Candomblé is a religion based on West African traditions (mainly from the Yoruba, Ewe, Fon, and Congo ethnic groups) which also combines elements of Catholicism and is practiced in Brazil. Practitioners believe in one supreme God who is worshiped by honoring a number of deities called orixás which each represent spiritual forces of nature. It is believed that all things in nature, including ourselves, contain God’s (Olodumarê) axé, which is the life force energy or essence that creates existence. By honoring the orixás, we can increase and improve our own spiritual energies and live in harmony and balance with nature and one another. 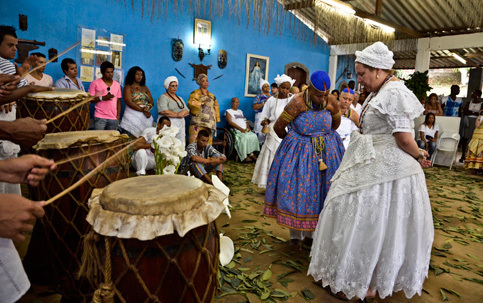 Spiritual worship through atabaque drumming, singing, and dancing produced the rhythms that gave birth to the origins of Samba, the national music of Brazil.